KODAK, TN - The Tennessee Smokies (7-3) kicked off a ten game home stand with a comfortable 6-2 win over the defending Southern League champion Jackson Generals (4-6) on Monday night. 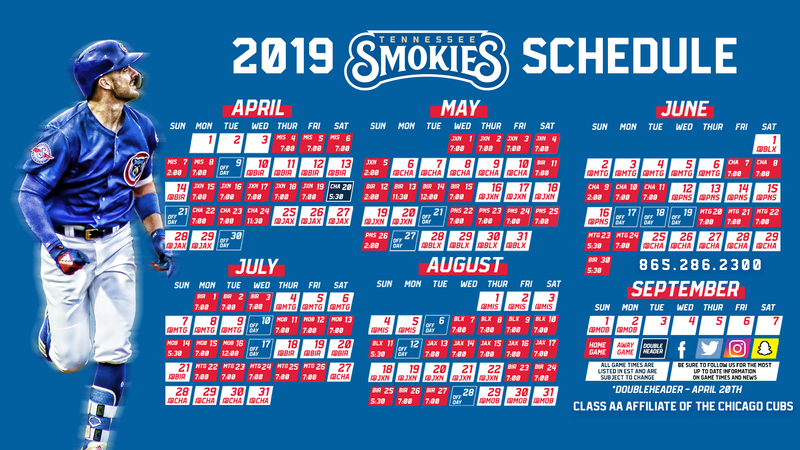 Smokies' fans were greeted early in the game with a towering two-run home run off the bat of Robel Garcia in the first inning. Jackson stole a run in the fifth inning when Jazz Chisholm stole home after Smokies catcher P.J. Higgins attempted to throw out Galli Cribbs Jr. stealing second. In the next frame, Jackson knotted up the game at two when Ramon Hernandez singled to left field, sending Jamie Westbrook home. The Smokies wasted no time regaining the lead in the bottom of the sixth with a blooper single to left field from Charcer Burks to score Nico Hoerner. With the bases loaded and two outs, Roberto Caro punched a double to right centerfield, bringing three insurance runs home in the eighth to extend the lead to 6-2. 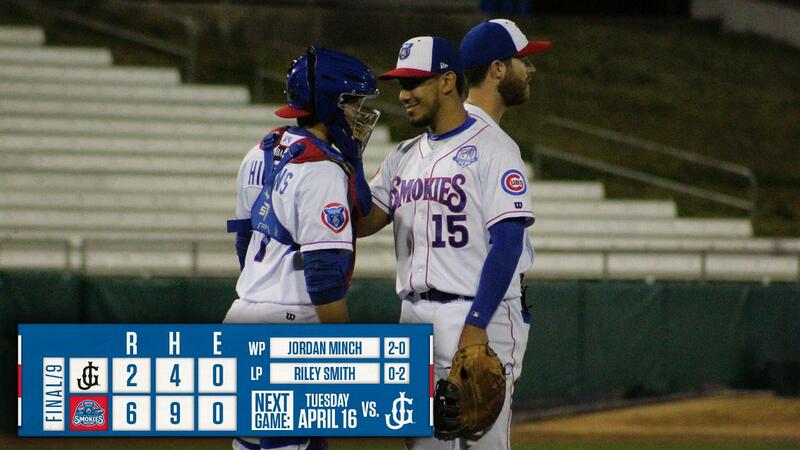 The Smokies dominated on the mound start to finish. RHP Tyson Miller's performance featured a five inning outing, striking out five batters, and surrendering one run. LHP Jordan Minch (W, 2-1) collected the win with two innings of work, posting a strikeout and allowing a run. RHP Bailey Clark (S, 1) captured the save with two perfect innings and two strikeouts. As for Jackson, RHP Riley Smith (L, 0-2) received the loss giving up three runs and six hits over 5.1 innings. Game two of the series gets underway Tuesday night at 7:00 pm ET at Smokies Stadium. The pitching matchup features RHP Thomas Hatch for the Smokies and RHP Bo Takahashi takes the mound for Jackson.